Are you looking for a wireless doorbell that works with Alexa? Look no further, because we have been looking at all the smart wireless doorbells and have selected the best options for you! Some options on this page are not wireless doorbells. 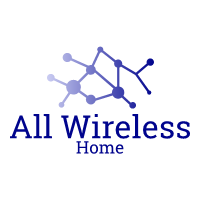 I had to mention it, considering this site is primarily for wireless doorbells! If you do not have any existing wiring to connect the doorbell, then there are also some awesome options on here as well. What can you do with an Alexa compatible wireless doorbell? Can I do more with an Alexa compatible doorbell? If you are near your Alexa unit and the doorbell is pressed, simply ask Alexa to ‘show front door’ and you will get to see the live stream! There is an application called If This Then That which acts as an intermediary to smart devices and Alexa/Google Home. When using If This Then That it really opens up the possibilities of adding some important functions to your home security system. You can see more here for the Ring specific commands. Wouldn’t it be fantastic if you could set a trigger for Alexa to turn on a light if the doorbell is pressed during certain hours? All you need is a wireless doorbell that works with Alexa, and a smart lighting system, or a smart plug and a lamp. You can then use Alexa to switch on the bulbs, or the lamp when the wireless doorbell is pressed. This is something I have set up at my own house! As soon as the doorbell is pressed the camera (which is set up to point at the door) is triggered to record 2 minutes worth of footage. All you need is an Alexa compatible wireless doorbell, and an indoor camera to record footage. Simply add a trigger to record when the wireless doorbell is pushed. If you add both of these together, then you can have an awesome security system for your front door! 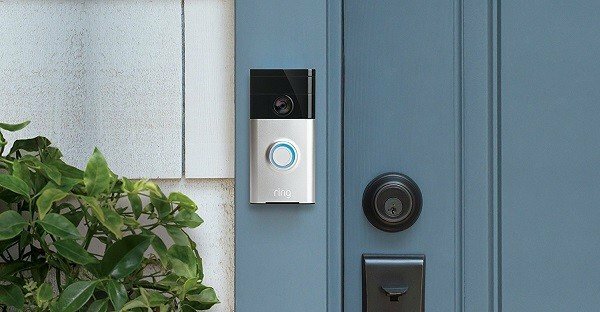 The Ring Video Doorbell Pro is the first of the doorbells from Ring, and tops the list of doorbells that work with Alexa! I will begin with the obvious, this is NOT a wireless doorbell, and needs to be installed by a qualified electrician. 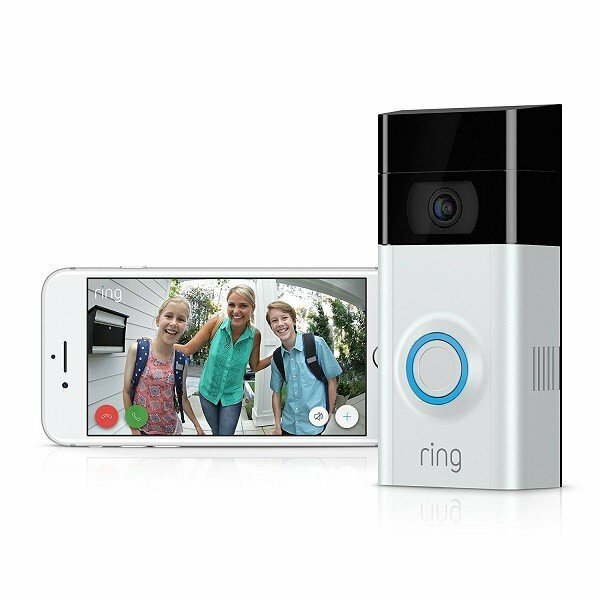 The Ring Video Doorbell Pro works with Alexa and can alert you by illuminating and announcing if the button is pressed or the motion detectors have been triggered. If you are serious about a home security system, then all of the Ring doorbells on this page can play an important part in helping to secure your home. You can use the Ring Video Doorbell Pro to monitor your home in 1080p video, live and on demand. You can also use the motion detectors to alert you to any visitors before they press the doorbell, AND there are 2-way talk capabilities. It is worth mentioning that the Ring Video Doorbell Pro has a lifetime theft warranty, which means if it gets stolen, Ring replace it for free! The Ring Video Doorbell Pro has an operating temperatures range of -5°F to 120°F (-20.5°C to 48.5°C). Although there is no IP rating, we contacted Ring and were told that it is weatherproof. The video doorbell 2 review. The best wireless doorbell page. I’ll give you a rundown of the features though so you can see why this is certainly one of the best options if you are looking for a doorbell that works with Alexa. Not only is this a fantastic option, packed full of excellent features, Ring offer lifetime theft protection. If it gets stolen, they will replace it for you! There is also a 1-year warranty. I also love the fact that you can set up zone detection too, so it can double up as a home security system. One of the product features includes LiveView, which gives you the option to remotely log in to the Ring doorbell to get a live view from your front door. It is weatherproof and will work within the following temperature range: -5°F to 120°F (-20°C to 50°C). Extras include WiFi Extender, Chime, and Bracket! Another doorbell that needs to be connected to your main doorbell wiring, so no wireless doorbell, but it is certified to work with Alexa. The Zmodo has an enhanced motion detection unit, which limits the false readings that you may get from other wireless doorbells, or wireless security cameras. The zones are customizable for more accurate detection. There is no lifetime theft protection with the Zmodo. Weatherproof unit to resist rain and extreme cold. It is quick and easy to set up, it has 2-way voice communication and comes with lifetime purchase protection. If it gets stolen then Ring will replace it for free, what an awesome deal! The video doorbell can be powered either from your existing doorbell wiring or from a rechargeable battery so yes, it is still a wireless doorbell. Access to the doorbell comes in the form of an app, which can be used wherever you have a signal. So no more missing visitors to your home! Not only is this an excellent video doorbell choice, but you also get the added security of a motion detector, giving you alerts if there is movement outside your door. 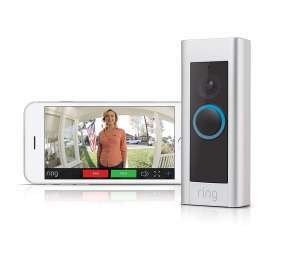 Yes, Ring offers lifetime theft protection, along with a 1-year warranty. Aside from the options at the top of this post, there are many more things you can do. Again, please check out the IFTTT Ring page for these, and more! Ultimately, you can do so much with a wireless doorbell that is compatible with Alexa, or Google Home. If you have a house full of smart devices, they can all link together with the help of IFTTT. If you have some spare time then check out the recipes to see exactly what you can and cannot do. A word of warning though, once you start linking your smart devices together, it can become very addictive! If you are looking for a doorbell that works with Alexa, then check through the options on this page. There are some expensive models here but when you add in the lifetime theft protection, can you really go wrong? Each one of these doorbells works with Alexa and when coupled with If This Then That, they will work with most other smart things too!